FM theatre power is going to ICAF for , and <1+1>. See you in Rotterdam!! 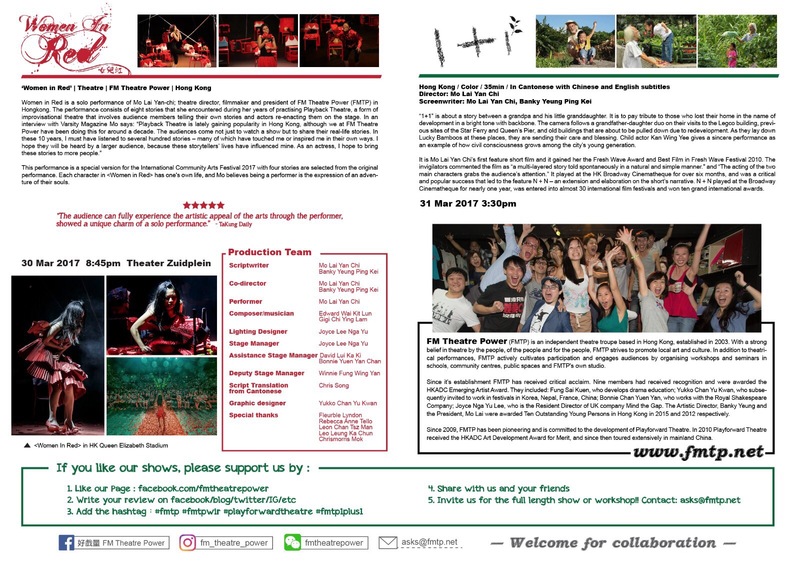 FM Theatre Power (FMTP) is an independent theatre troupe based in Hong Kong, established in 2000. With a strong belief in theatre by the people, of the people and for the people, FMTP strives to promote local art and culture. In addition to theatrical performances, FMTP actively cultivates participation and engages audiences by organising workshops and seminars in schools, community centres, public spaces and FMTP’s own studio. Since it’s establishment FMTP has received critical acclaim. Nine members had received recognition and were awarded the HKADC Emerging Artist Award. They included: Fung Sai Kuen, who develops drama education; Yukko Chan Yu Kwan, who subsequently invited to work in festivals in Korea, Nepal, France, China; Bonnie Chan Yuen Yan, who works with the Royal Shakespeare Company; Joyce Nga Yu Lee, who is the Resident Director of UK company Mind the Gap. The Artistic Director, Banky Yeung and the President, Mo Lai were awarded Ten Outstanding Young Persons in Hong Kong in 2015 and 2012 respectively. Since 2009, FMTP has been pioneering and is committed to the development of Playforward Theatre. 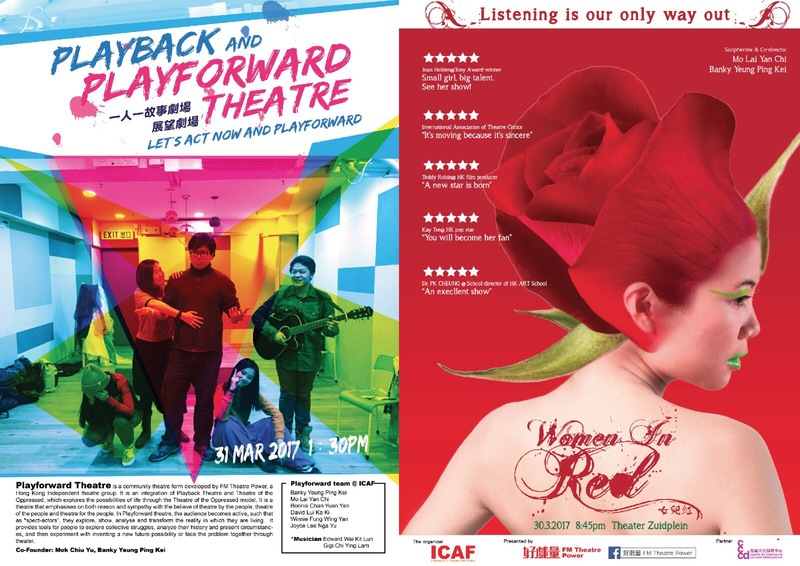 In 2010 Playforward Theatre received the HKADC Art Development Award for Merit, and since then toured extensively in mainland China.